For just a cool $100 million you to can own Michael Jackson’s former “Neverland” ranch. Well sort of. The 2,700-acre estate in Santa Barbara County, complete with 22 structures, a 22,000 sq ft home and with two guest houses is no longer called “Neverland” but instead “Sycamore Valley Ranch.” Gone are the animals, the amusement rides and the train. ARE YOU SERIOUS, THE ANIMALS, RIDES AND BUBBLES ARE GONE? How about the train, please tell me it still has the train. Wait, WSJ is reporting the train lives, its still there. But ABC is stating in the article below that the train is gone. The wanted to change the name of ‘Neverland’ to get away from the stigma associated with the former King of Pop. Rather than “Sycamore,” that was the name of the estate was built in 1981 by real estate developer William Bone … how about some other suggestions, ‘Pedoland,” “Molestalot,” or my personal favorite … are you out of your mind, who the hell would pay $100 million for this place-land. Michael Jackson’s former California ranch “Neverland” is hitting the market for $100 million. Now called “Sycamore Valley Ranch,” you won’t find the carnival rides and Bubbles the chimpanzee that the late performer had on the 2,700-acre estate. But there’s still the floral clock that spells “Neverland” by the train station and train tracks, plus a llama at the Los Olivos property in Santa Barbara County. Sotheby’s and Hilton and Hyland have the listing, The Wall Street Journal first reported. Suzanne Perkins of Sotheby’s International Realty told ABC News the property is the “most spectacular ranch I’ve had the privilege of seeing” since she sold the $145 million El Cojo ranch in 2007, along the California coastline. Michael Jackson died on June 25, 2009 at his home in Los Angeles from an overdose. His physician Conrad Murray was found guilty of involuntary manslaughter in 2011. The WSJ is saying that the listing agents warned they will be doing “extensive prequalification” of potential buyers before showing the property. “Our seller is not encouraging a lot of showings,” Mr. Hyland said. “We’re not going to be giving tours,” Ms. Perkins added. Well if you want to have a tour and see inside the Home, take a look back at the below VIDEO from NBC News in 2009. Neverland, Michael Jackson’s former home, for sale. The 2,700-acre ranch in Santa Ynez Valley features such amenities as a train station, six-bedroom house, 50-seat movie theater and a pair of lakes, It has been in limbo since Jackson’s death in 2009. Jackson originally paid $19.5 million for the oak- and sycamore-studded property in 1988 and rechristened it Neverland after Peter Pan’s island dwelling. He soon added such over-the-top amenities as a zoo and small amusement park, which have since been removed. The real estate company Colony Capital LLC bailed out Jackson in 2008 after he defaulted on the $24.5 million that he owed on the property. In a perp walk to a police car, when asked by reporters, why Beverly? Aaron Lewis replied, She’s a rich broker … She was a woman who worked alone.” SICK, JUST SICK. Aaron Lewis has been charged with capital murder in the death of Arkansas real estate agent Beverly Carter. This sick SOB targeted this hard working mom to rob her and then ultimately he murdered her. Void of any empathy, this sociopath said that he was “sorry”. I doubt it. Fire up sparky. Reporter: Arron are you hurting for some reason?. Lewis: Yeah, I got in a car wreck the other day. I haven’t been to the hospital yet. Reporter: You pleaded not guilty. Why? Lewis: Because that’s what my lawyer said to do. Reporter: Did you in the courtroom originally say you wanted to get it over with, that you wanted to plead guilty?. Lewis: I just want this all over with. Reporter: So, did your lawyer basically encourage you to plead guilty. Lewis: I’m just sorry it all happened. I just want it all over. Sad conclusion to the case of missing real estate agent Beverly Carter, she has been found dead. The body of missing 49 year old Beverly Carter has been found in a shallow grave at a concrete company about 25 miles northeast of Little Rock, Arkansas. According to Pulaski County Sheriff’s Office spokesman Carl Minden, the police found the body of Beverly Carter shortly after midnight on Tuesday in a Little Rock suburb about 25 miles north of the area where she was reported missing. Beverly Scott went missing on Thursday, September 25, 2014 as Carter was showing a home in Scott, Arkansas. 33 year old Arkansas prison parolee Aaron Lewis was arrested hours earlier after an intensive manhunt on suspicion of being responsible for the disappearance of Beverly Carter. He will now face a capital murder charges as well. 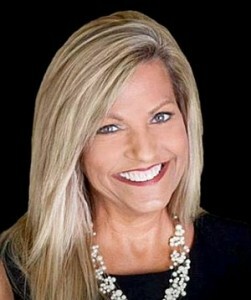 Authorities say the body of an Arkansas real estate agent who disappeared Thursday has been found in a shallow grave at a concrete company. Pulaski County Sheriff’s Office Lt. Carl Minden says Beverly Carter’s body was found early Tuesday at Argos Concrete Company in a rural area about 25 miles northeast of Little Rock. 49 year old Beverly Carter has been missing since Thursday, September 25, 2014 in Scott, Arkansas. Carter is a real estate agent who was supposed to meet an unknown person at a home on 14202 Old River Road in Scott to show a house around 5:30 p.m. However, after 3 hours of no contact, her husband went to the home on Old River Road, found his wife’s car with her purse and wallet inside, but she was nowhere to be found. The front door of the home was wide open. Beverly Carter has not been seen since. Her husband did say that he received three text from his wife around 1 a.m. Friday but that it didn’t sound like her at all. Beverly Carter is blonde, has green eyes, is 5′ 2″ tall and weighs around 145lbs. She was last seen wearing a black sleeveless shirt and red shorts. Police are still searching for clues in the disappearance of a central Arkansas real estate agent. The Pulaski County Sheriff’s Office is searching for 49-year-old Beverly Carter. She was reported missing by her husband September 25 after she was supposed to meet an unknown person at a home on Old River Road in Scott to show a house around 5:30 p.m.
After three and half hours of no contact, her husband went to the home on Old River Road and found his wife’s car with her purse and wallet inside, but she was nowhere to be found, and investigators have found no trace of a crime. “Her car was there, and the house was wide open, and I knew that something was wrong,” her husband, Carl Carter, described of the scene when he went to look for her. UPDATE I: The real estate agent went to the home on Old River Drive in Scott around 5:30 p.m. to show it to a possible cash buyer. People living near the home are shocked. Some told us they saw Beverly’s car and another vehicle in the driveway last night but thought nothing of it because the home is for sale. “A tall skinny white man got out of the truck to pull up the one he was showing the house to,” a neighbor said. Carter said he and Beverly have been married for 35 years and he wants her back home with the family. Detectives are looking at this as a missing persons case. While one of the detectives said he believes Beverly was taken from the home, no description on the possible suspect or a vehicle have been released. UPDATE II: Police Seek Clues In Search For Missing Arkansas Real Estate Agent. Police are in their second day of looking for clues in the disappearance of a central Arkansas real estate agent. More than 250 volunteers were out helping authorities search for clues Saturday. Saturday’s volunteers were divided into two groups — one group searched Old River Road, where Carter’s car was found, and the other group was sent to I-30 and Highway 161. Some searched by foot, others by ATV. Deputies received dozens of requests from search crews to check on items that could possibly lead to clues, but so far, no evidence has turned up. If anyone has any information on her whereabouts are urged to call the Pulaski County sheriff’s office’s 24-hour communications number, (501) 340-6963; its criminal investigations division, (501) 340-6940; or the central Arkansas CrimeStoppers tip line, (501) 340-8477. 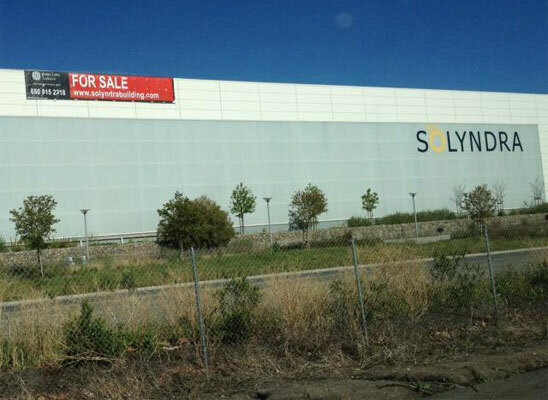 First the Barack Obama wasted $528 million tax payer Stimulus funded Solyndra declared bankruptcy, now the Solyndra building is for sale. Nice call President Obama, care to speculate more on your failed green energy agenda? Solyndra, the green energy firm that received $528 million in a Department of Energy loan, filed for bankruptcy in September. As Bloomberg reported, “Solyndra, heralded by President Barack Obama as proof that ‘the promise of clean energy isn’t just an article of faith,’ filed for bankruptcy in September, days before the FBI raided its headquarters in Fremont, California.